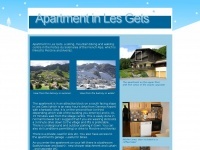 Self catering ski rental chalet holidays in Portes du Soleil, French Alps resort of St Jean D'aulps, Morzine, France. 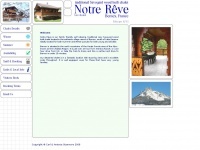 Accommodation ideal for skiing, snowboarding, and all alpine activity. France holiday chalets at their best, hot tub all mod cons. 3 links pointing to Bellefolie.co.uk were found. 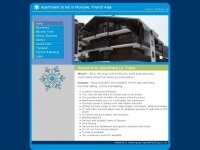 Individual words like Site, Winter and Bellefolie are frequently used in text links from other websites. 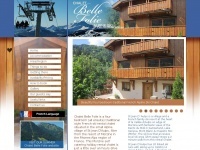 The most important links to the website are from Winterinthealps.co.uk and Bellefolie-summer.co.uk. The homepage of Bellefolie.co.uk and the subsite are most referenced by other websites. The table shows the most important links to Bellefolie.co.uk. The table is sorted in descending order by importance. The table shows websites of Bellefolie.co.uk, which are often linked by other websites and therefore they are classified as important content. 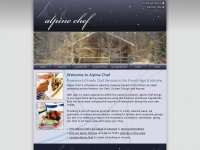 Alpinechef.co.uk - Al­pi­ne Chef - Free­lan­ce Chef, Priva­te Chef, Cate­ring, ..
Bernexholidays.co.uk - Fa­mily Holi­day Cha­let - Ber­nex, Fran­ce near Lake ..